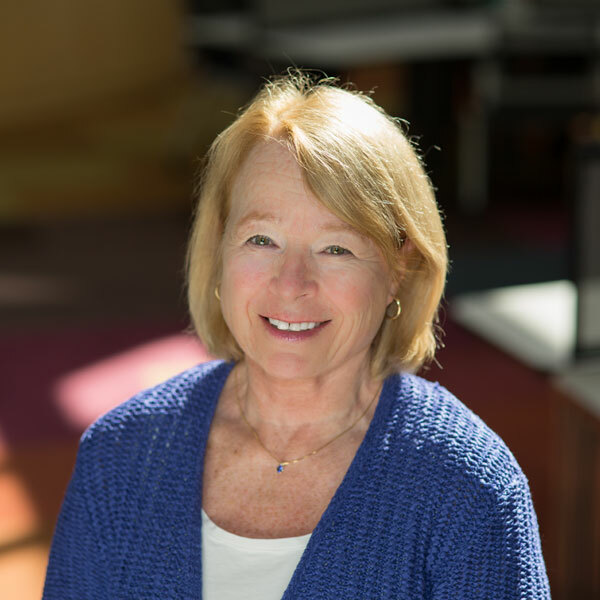 Betsy Voshel served as the Director of Field Instruction and Associate Clinical Professor from September 2004 – April 2017 and upon her retirement became Associate Clinical Professor Emerita. She is a licensed master social worker (LMSW) with membership in the Academy of Certified Social Workers (ACSW) since 1980 and she earned a post-master's teaching certificate from the University of Pennsylvania in 2003. Betsy enjoyed a long and rewarding career that included a faculty appointment at Western Michigan University’s School of Social Work as the Field Education Coordinator as well as working for 22 years at the Department of Veteran Affairs Medical Center in Battle Creek, MI primarily focusing on behavioral health and student training. For many years, Betsy was a leader and very active member in the North Central Field Director’s Consortium, Council on Social Work Education (CSWE) and the National Association of Social Workers (NASW). Betsy co-authored a social work text book, several articles, and several proposals that were funded. Over the years, Betsy has taught countless workshops focusing on social work ethics and her current emphasis is on the ethical use of social media. Betsy has presented nationally and internationally on the development of signature field instruction curriculum, co-led the development and teaching effort in the school's E-portfolio seminar, created a student peer facilitation teaching model, designed a robust field instructor training program, and contributed to an online training module for new Field Directors currently in use by CSWE. Field instruction curriculum development, new Field Director training, field instructor training, social work ethics, ethical use of social media, and interdisciplinary collaboration. Voshel, Betsy. (2017). Reflections on an influential career. The Field Educator Journal, Volume 7.2. Simmons School of Social Work, Boston, MA. Voshel, E. H. (2017). Reflections on an Influential Career. The Field Educator Journal, Volume 7.2. Simmons School of Social Work, Boston, MA. Voshel, E. H. & Hurand, S. (2016). Utilizing student/peer-facilitators to create a dynamic field seminar learning environment. The Field Educator Journal, Volume 6.1. Simmons School of Social Work, Boston, MA. Ruffolo, M. C., Perron, B. E., & Voshel, E. H. (2016). Direct Social Work Practice: Theories and Skills for Becoming an Evidence-Based Practitioner. Los Angeles, CA: Sage. Ruffolo, M., Perron, B. E., & Voshel, E. (2015). Direct Social Work Practice: Core Theories and Skills for Becoming an Evidence-Based Practitioner. Thousand Oaks, CA: Sage. Voshel, E. H., & Wesala, A. (2015). Social Media & social work ethics: Determining best practices in an ambiguous reality. Journal of Social Work Values and Ethics, 12(1), 67-76. Voshel, E. (2014). Inter-professional education and social work. Field Educator Online Journal: Conversations, Volume 4.1. Simmons School of Social Work: Boston, MA. Voshel, E. (2013). Reflections of a field director: An opportunity to look into the past and see the future. Reflections: Narratives of Professional Helping, 18(2), 24-31.